Capable of carrying out 170 tests per hour, RX monaco is the newest, fully automated addition to the RX series. 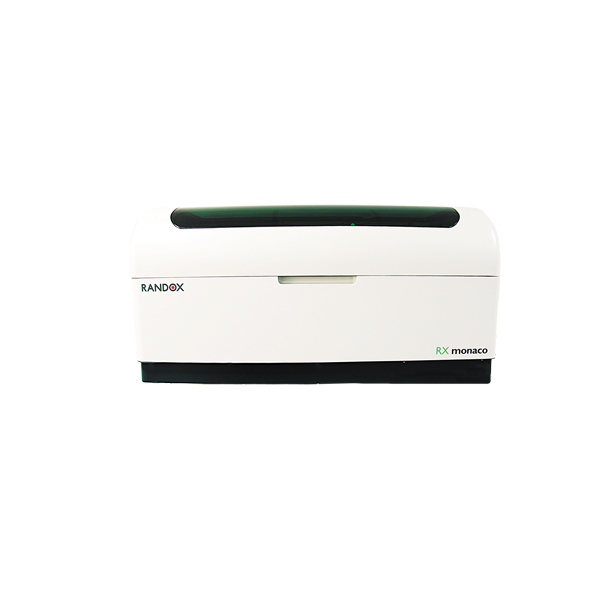 Guaranteeing unrivalled performance, the RX monaco provides cost effective, high quality testing for smaller laboratories. This fully automated analyser can be easily integrated into any laboratory setting with the option of a floor standing unit if bench-top space is limited. The low maintenance requirements of the RX monaco combined with intuitive easy to use software ensures maximised laboratory efficiency for unrivalled performance.